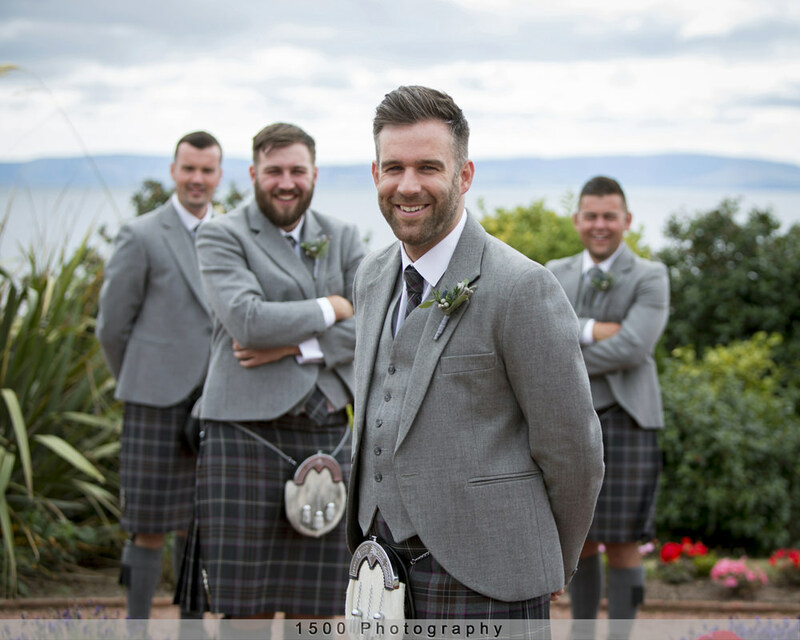 We just found out that this wedding won us “Best Complete Wedding 2019” at this years Scottish Master Photograpeher awards, so its with added excitement that I showcase it on our blog today. Its been a few years since my last Seamill Hydro wedding, so it was absolutely fantastic to be back down to see the new Firth Pavillion. What a fab venue! 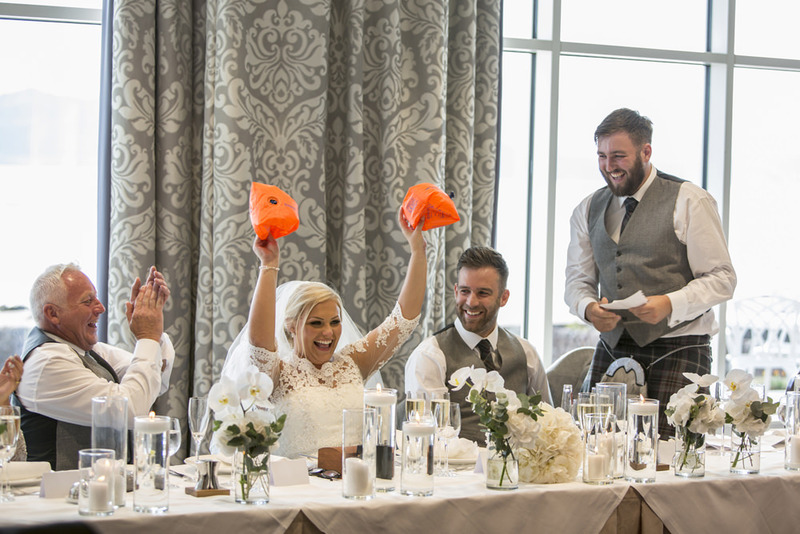 And only fitting as Cara and Ross are a terrific couple. There are so many wonderful things about this wedding. Starting with the venue itself. 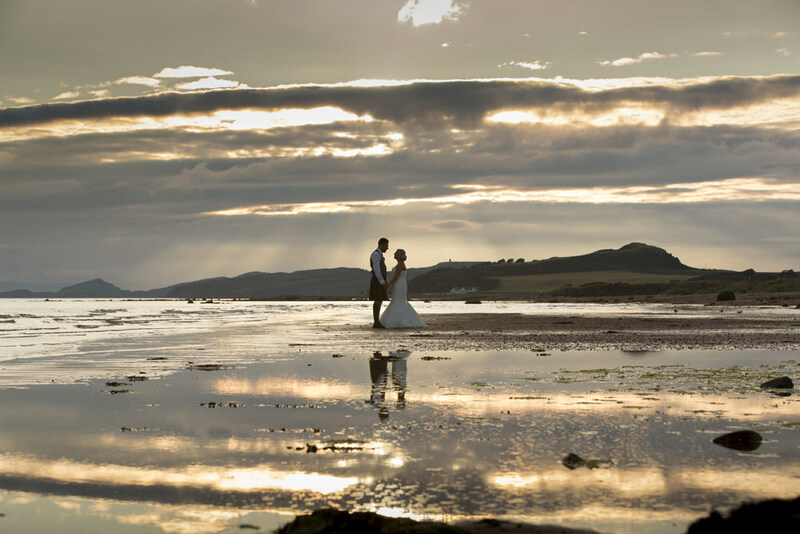 We all know Seamill is sensational but Cara picked Seamill as this is where her own parents got married 30 years ago ! “So the morning was stress free up until about an hour to go!! Up till then I had really enjoyed getting ready with my girls at my Mum and Dads house. My dad and I were calm going over in the car but I had a serious wobble at the top of the stairs in Seamill Hydro when I heard the pianist play! I had a lovely moment with my dad at the top of the aisle where a recording was played of myself reading a poem to my dad. 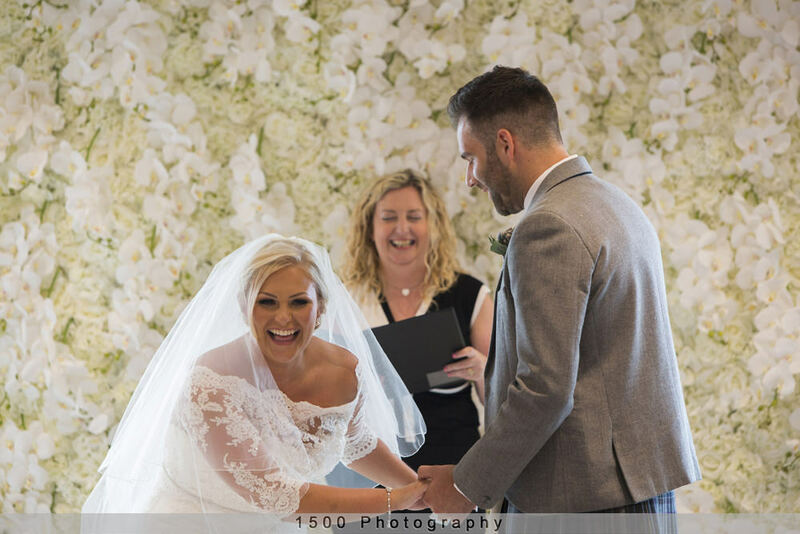 The ceremony was lovely and we had a few funny moments where we both fluffed our lines! 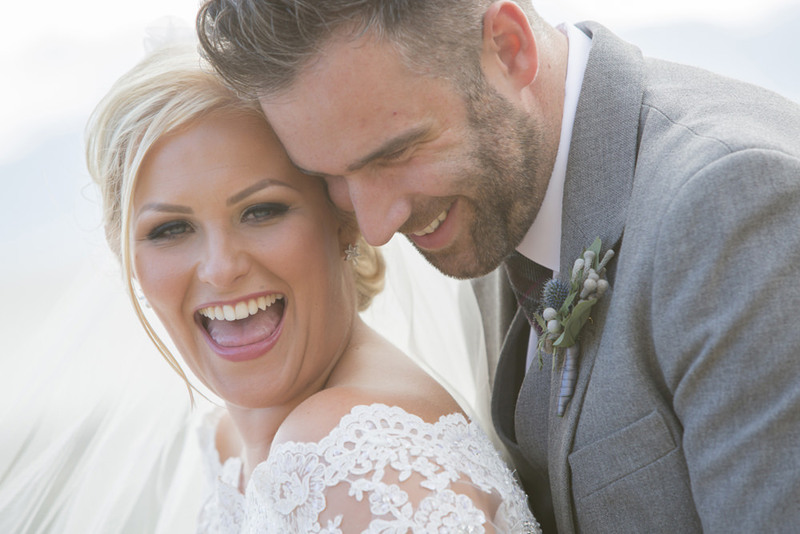 Stuart and Karen of 1500 Photography, were an absolute dream during the photographs! I honestly could not have asked for a nicer, more down to earth photographer who kept everyone calm, going with the flow. We both felt like we were among friends! We had emotional speeches and first dances/ second (dad) dance and we had and a brilliant night of partying until the wee hours ensued. 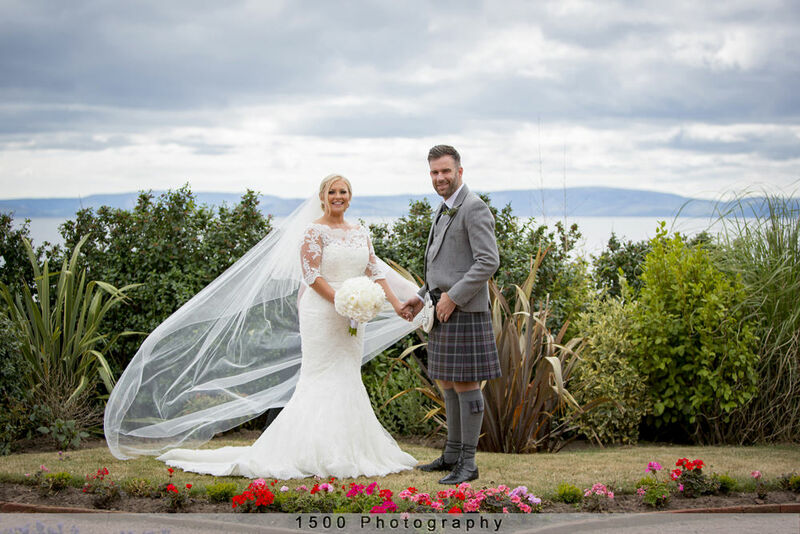 I need to give a special mention to the staff at our venue, the Seamill Hydro, all of whom were amazing and made sure the day went smoothly. They really do know their stuff! If i had to pick a favorite moment it was probably the time down on the beach (for pictures) that we both felt like we could really breathe and relax. That’s the time that we enjoyed most. 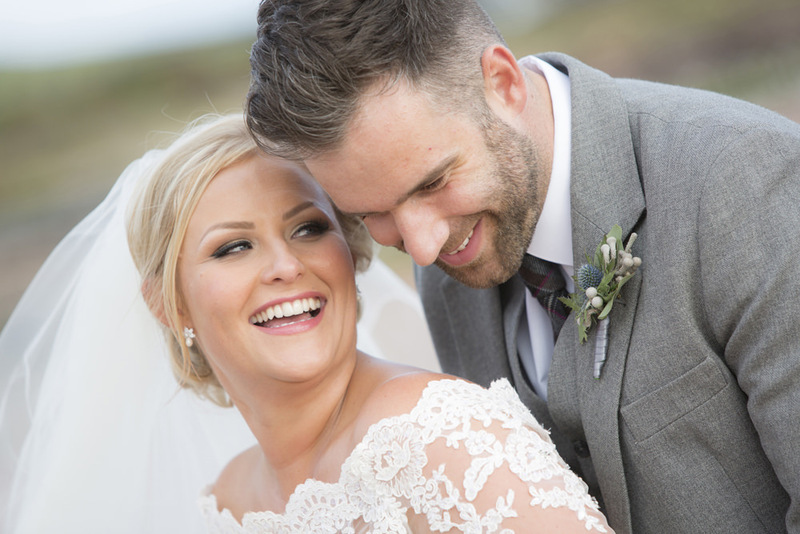 Ross and I were looking out onto Arran with the sunset behind us, smiling and laughing and just enjoying each other for a minute! 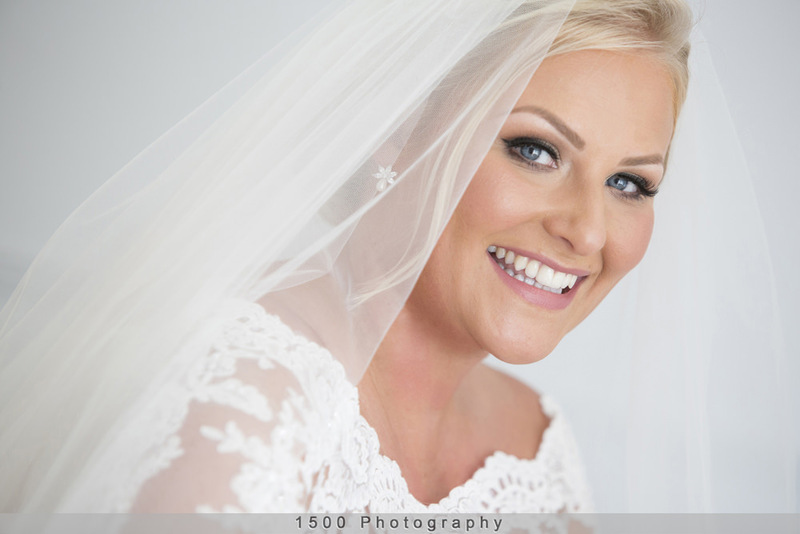 Any Advice for brides to be ? – My advice would be that in the lead up to the big day, please yourself and your groom to be and do not worry about anyone else. On the day, take it all in and allow yourselves to enjoy the moment. Let people come to you in the evening, do not feel you have to go round everyone and speak to them as you will spend your whole night talking and have no time to relax or dance! Inspired by Cara’s style and grace? Here are the suppliers who put together this wonderful day. 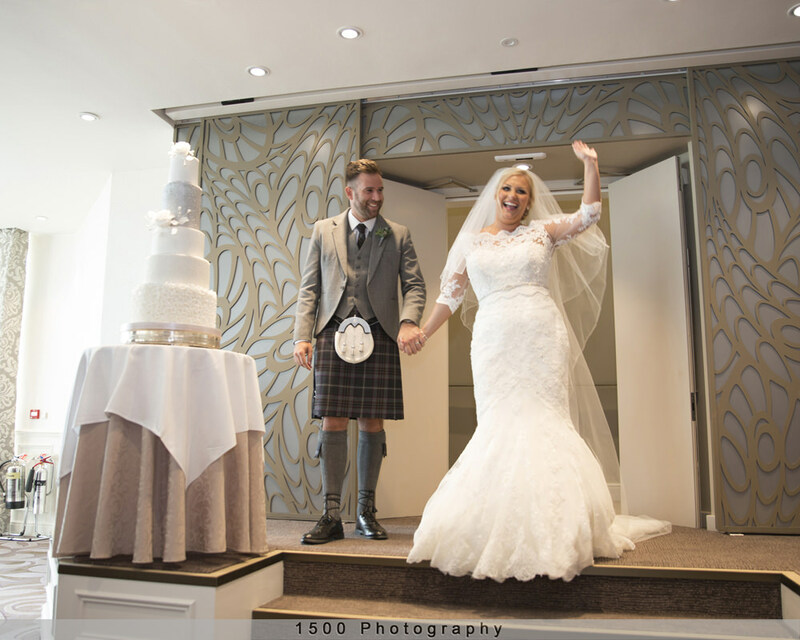 Hair Stylist – Carly McGinley from Hair by Marion Bennett, Irvine. 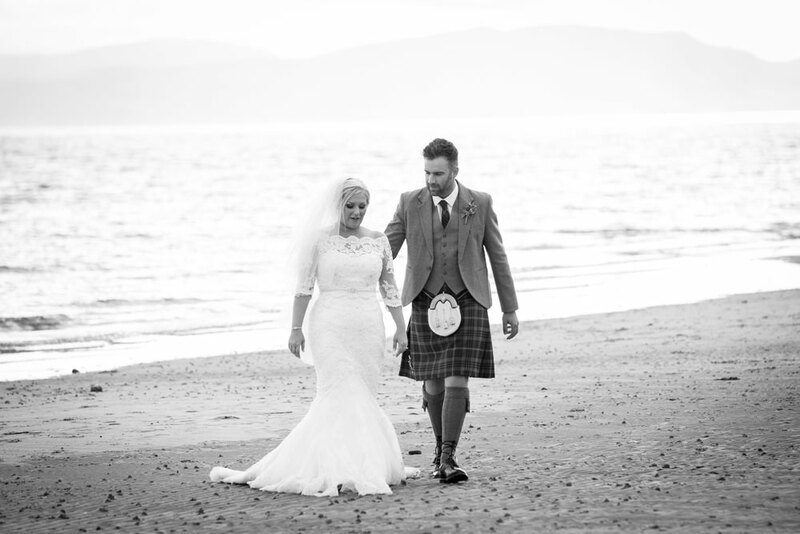 You can see one of our previous Seamill Hydro Weddings here and more of our Ayrshire weddings here.